Only Administrators can create Beacons. 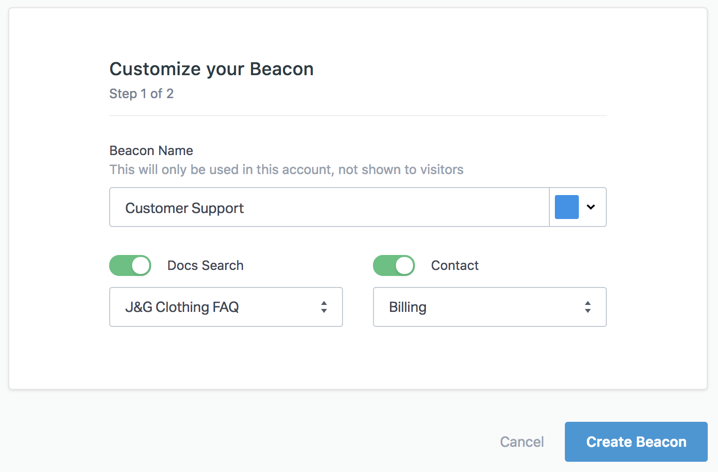 To create or edit a Beacon, head over to Manage → Beacons, then click on the New Beacon button. Give the Beacon a name. If you want customers to search your knowledge base in Beacon, toggle the Docs Search option on, then select which site you’d like customers to search. To include a contact form, flip the Contact switch and pick which mailbox to send submissions to. Finally, select a color for your Beacon by scrolling through the color picker or entering the HEX value. When you’re ready to embed your Beacon, copy and paste the embed code before the </body> tag on your website. Or hit the More Settings button to start customizing the Beacon. Note: You can come back and change these settings later. 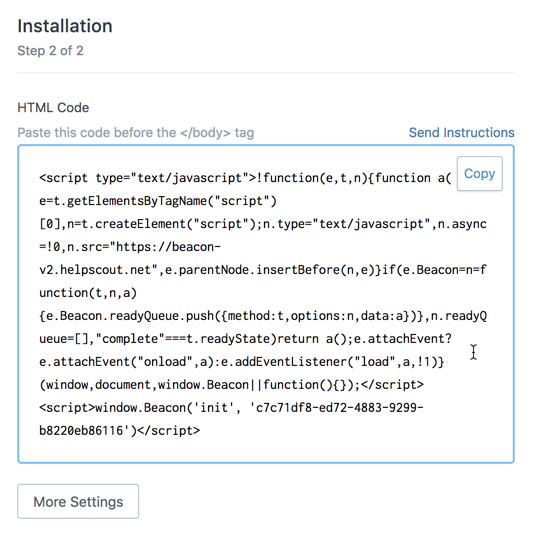 With Beacon, your embed code is ready to go, right out of the box. Even if you add additional customizations, we’ll include those for you behind the scenes. You only need to add the embed code to your site once!